Compare to Uline S-12497 and Save! These 4" x 4" polypropylene zipper locking bags are for applications when only a high clarity zipper locking bags for product presentation will do. These 4 x 4 .002 Mil Clearzip® Lock Top polypropylene zipper bags are a lucid crystal clear bags with exceptionally resistant to heat and corrosion while offering a great deal of durability. Clearzip® Lock Top 4 in. x 4 in. 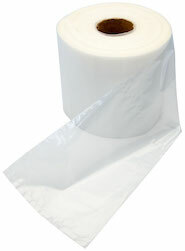 2mil polypropylene zipper bags meet FDA/USDA, GMP, AIB requirements for food contact and are Kosher approved as well. The Clearzip® Lock Top 4" x 4" polypropylene plastic zipper locking bags provide a better oxygen barrier and longer shelf life versus polyethylene. This helps delay evaporation and dehydration to preserve newness and taste of contained foods which makes them ideal for use as zipper locking food service bags. 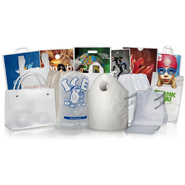 Need a Custom Quote for a Custom Printed Polypropylene Zip locking Bag?